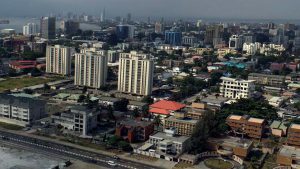 A new report has ranked Lagos, the nation’s commercial nerve centre as the third least of world cities that are highly unaffordable for renters. The ranking is coming on heels of the global professional services firm, PricewaterhouseCoopers (Pwc) Opportunity report that listed Lagos at 28th position of 30 cities. In its latest Cities of Opportunity report, PwC has also set up what is basically the shortlist of the world’s best cities to work and live in. The top-30 ranking is the result of an in-depth analysis of the most prosperous global business, finance and culture capitals, which looks at 10 different indicators—including but not limited to infrastructure, intellectual capital, sustainability and ease of doing business, all of them essential for a great environment. With the list, the researchers looked at how much money do people earn in these cities and whether these salaries are enough to afford a rental apartment. The implication of the recent report is renters in Mexico City, Manhattan and Lagos face severe rent burden, meaning that the rent takes up more than half of a household’s income each month (60 per cent, 59per cent and 57per cent respectively). In other words, in an average family with two earners, one of them works only to pay the rent, and it’s still not enough. Lagos residents cough out an astounding 57per cent of their income on rent, while in Mexico City, the median household income barely hits the $14,500 mark and yearly rent amounts to $8,640 on avg. That puts Mexico City first among the world’s most unaffordable cities for renters with a 60per cent rent burden. Not even London, which PwC declared the world’s best city to live and work in escapes the affordability woes. The 40per cent rent-to-income ratio places UK’s largest city among the moderately rent-burdened global powerhouses of the world. At the other end of the spectrum, Kuala Lumpur emerges as the best choice for renters in search of more relaxed lifestyles. Rent barely takes 20per cent of the median household income in Malaysia’s capital city. In the study, the researchers looked at the current rents in the top global financial centres, but not restricted to cities with outstanding activity in the financial sector, and bringing into the equation the affordability of local housing prices too. According to the communications specialist for RENTCafé, Amalia Otet, researchers used the list of the world’s top cities of opportunity as published in the latest issue of their Cities of Opportunity report and study the overall average rents or their US Dollar-equivalents adjusted for inflation as necessary. In the report, London slide back 21 places when ranked by rental affordability, with the 7 out of the top 10 most affordable cities of opportunity catapulted straight from the lower third of the initial ranking. “London is famously expensive. And so is LA. But is this just an outside perception or the sad reality? Our research team here at RENTCafé looked at rental prices in the world’s 30 best cities to live in and compared them with the local median incomes to see just how (un)affordable these fine urban hotspots are”, Otet noted. According to the study, Kuala Lumpur, Moscow and Johannesburg ranked as the most affordable cities of opportunity from the 20th, 22nd and 24th places of the original ranking, respectively. Also two South American markets on the 4th and 5th places, Bogotá and Rio de Janeiro moved the farthest from their original positions—22 places up from 26th and 27th. Speaking on the ranking, an, urban development expert, Lookman Oshodi said the ranking is not unexpected considering spiraling inflation that the country has witnessed in the past few years. He noted that in the past two years, however, most property owners have maintained rent freeze. Despite the freeze on the real rent cost, property owners and renters alike, Oshodi said have been dealing with costs ranging from security, energy, water and road among other housing related services. “The energy crisis has further pushed housing related cost to astronomical level as residents need to fuel and repair their power systems,” he added.